Are Sleep Apnea’s Effects Worse For Women? Medical conditions are monitored closely depending on your particular risk factors. Understanding your medical history will help you live a healthier life. Though risk factors for diseases or medical conditions differ for men and women, many of them overlap. Obstructive sleep apnea, for example, is thought to be far more pervasive in men. This is not the case, women are also at risk for sleep apnea, but studies show that their cases are likelier to be misdiagnosed or undetected. Currently, for every eight men diagnosed with sleep apnea, one woman is diagnosed. It is projected that if all cases of sleep apnea were detected in women, then one woman for every two to three men would be diagnosed. Sleep is crucial to your body’s ability to heal. Deep restorative sleep can improve every facet of your life. Why Aren’t Women Diagnosed with Apnea as Often? The American Academy of Sleep Medicine indicates that over a quarter of adults from age 30 to 70 have sleep apnea. Like other serious medical conditions like heart disease, the symptoms that women display differ from the symptoms that men display. The symptoms in women can manifest themselves in much more subtle ways which could easily be confused with other conditions. This, unfortunately, complicates and often delays proper detection, diagnosis, and treatment. The National Sleep Foundation reports that women’s sleep apnea cases can be easily confused for other illnesses like diabetes, anemia, depression, irritable bowel syndrome, menopause, and thyroid issues. This confusion leaves thousands of cases improperly treated. Professor Paul Macey from the UCLA School of Nursing notes that early detection of sleep apnea is the best way to protect people from the most harmful effects. Because diagnosis in women can be more difficult, it puts women at a higher risk of brain damage. Professor Macey and his team compared brain scans of both men and women. 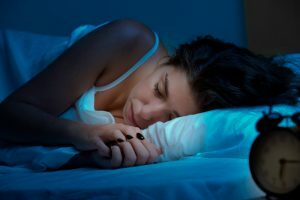 Scans of women with sleep apnea revealed more consistent damage to the frontal lobe, the area of the brain that governs cognition and motor skills. Damage to this region could be the cause for memory issues that women display. The team at Silent Night Therapy has the experience and skill to diagnose sleep apnea in both men and women. Our team understands the difficulties that people face when they have sleep apnea. We especially understand how hard it can be to diagnose, and we are ready to help you find solutions so that you can begin to sleep and heal. If you think you may have sleep apnea, give us a call at (631) 983-2463.